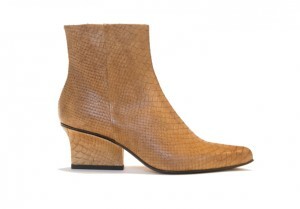 Ryan ankle boots desert python leather. 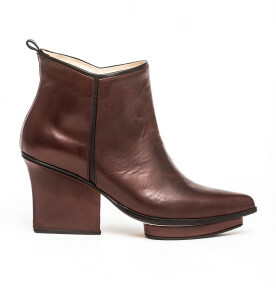 Eijk shoes are Dutch Design, produced by small-scale Italian shoe makers. Since the cow leather is hand painted, these boots are one of a kind. The heels are especially designed to give you, besides a cool look, also some extra comfort!